ImaginOn: The Joe & Joan Martin Center is a one-of-a-kind youth destination located in Charlotte, NC, in the heart of the cultural arts district. 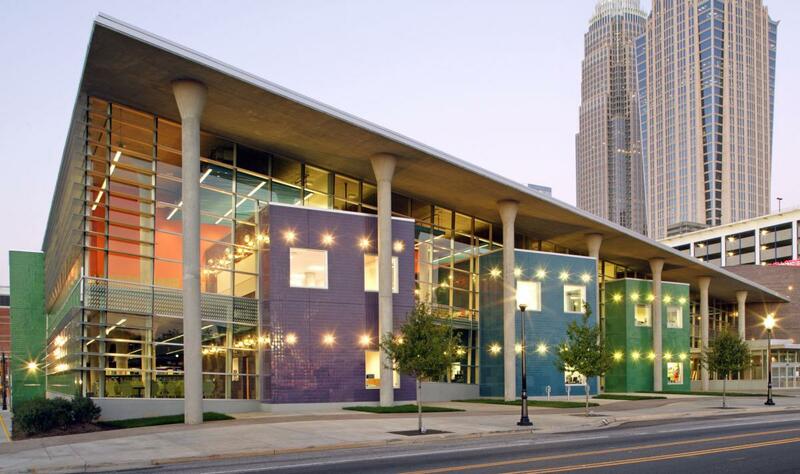 This collaborative effort between the Charlotte Mecklenburg Library and Children’s Theatre of Charlotte is a 102,000-square-foot facility recently ranked by Livability.com as the No. 1 children’s library in the United States. ImaginOn is visited by more than 300,000 people annually and features two state-of-the-art theatres, a dedicated library space for kids 11 and under, four multi-use classrooms, a teen-only library, a multimedia production studio, and interactive exhibit space. With cutting edge services and library collections, an award winning professional theatre and innovative education programs, ImaginOn brings stories to life through extraordinary experiences that challenge, inspire and excite young minds.